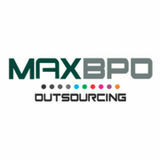 ABOUT MAX BPO OUTSOURCING Max BPO Outsourcing provide high quality and cost-effective logistics data entry support to transportation businesses as well as agencies involved in providing logistics support. We provide efficient logistics data entry services in the fields of road, rail, air and ocean freight and shipping. OUTSOURCE FREIGHT BILL DATA ENTRY SERVICES Outsource Freight Bill of Lading Data Entry Services to Max BPO Outsourcing and improve the efficiency of your logistics processes.